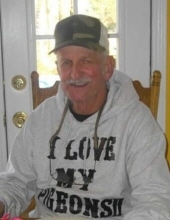 John Fred Davis, 79, of Pascagoula, MS passed away on Friday, March 22, 2019. He was born September 24, 1939 to the late Frank and Gladys Davis in Philadelphia, MS. He loved his pigeons that he raised for forty years. He was known as “Pigeon Flying Fred” by all his club members and friends. He enjoyed gardening and loved his flowers. He will be remembered as a loving husband, father, and grandfather. Along with his parents, John was preceded in death by his wife, Marie Davis, who was the love of his life. He was also preceded in death by his sister, Bobbie Carter. He is survived by his daughters, Mitzy (Ron) Pilkington and Rene (Brian) Noell; son, David (Jan) Oswalt; grandchildren, Kristen (Keith), Konnor, Hannah, Karsyn, Skyler, Kyle, and Kaitlyn; great-grandchildren, Keylan, Kayden, and Kennady; brothers, Pat (Patsy) Davis and Mike (Candy) Davis; sisters, Ginger McKee and Molly (Gary) Netherland; along with numerous nieces, nephews, and other relatives and friends. Visitation will be held on Tuesday, March 26, 2019 from 10 a.m. until 12 p.m. at Heritage Funeral Home in Moss Point, MS. Funeral service will begin at noon in the funeral home chapel. Interment will immediately follow at Jackson County Memorial Park in Pascagoula, MS.
To send flowers or a remembrance gift to the family of John Fred Davis, please visit our Tribute Store. "Email Address" would like to share the life celebration of John Fred Davis. Click on the "link" to go to share a favorite memory or leave a condolence message for the family.